Beware of Blanchard and company. Excessive commission s and fees. Do not buy their sales pitch. If you are in the market for gold bullion do your reasearch. 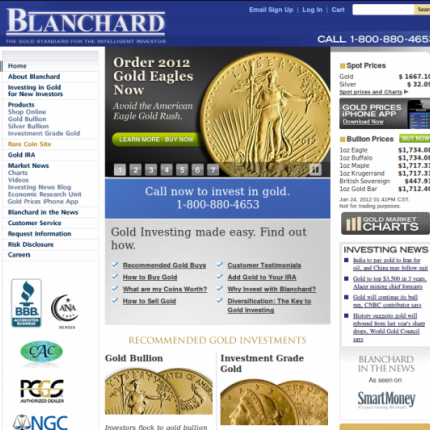 Many other places to purchase gold at a reasonable price. DO NOT BUY THEIR " RARE COINS" Nor their gold coins. Stick to bullion because whatever they sell you really has absolutely NO value above what gold spot is.